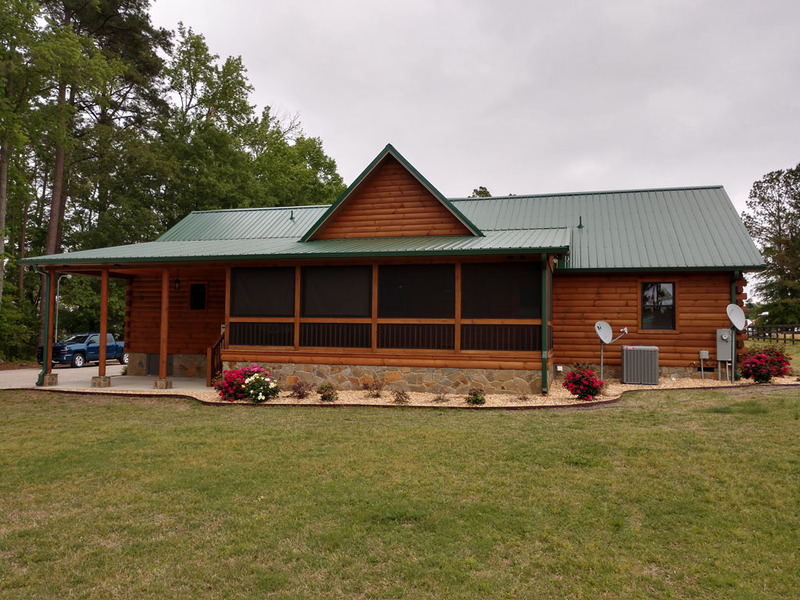 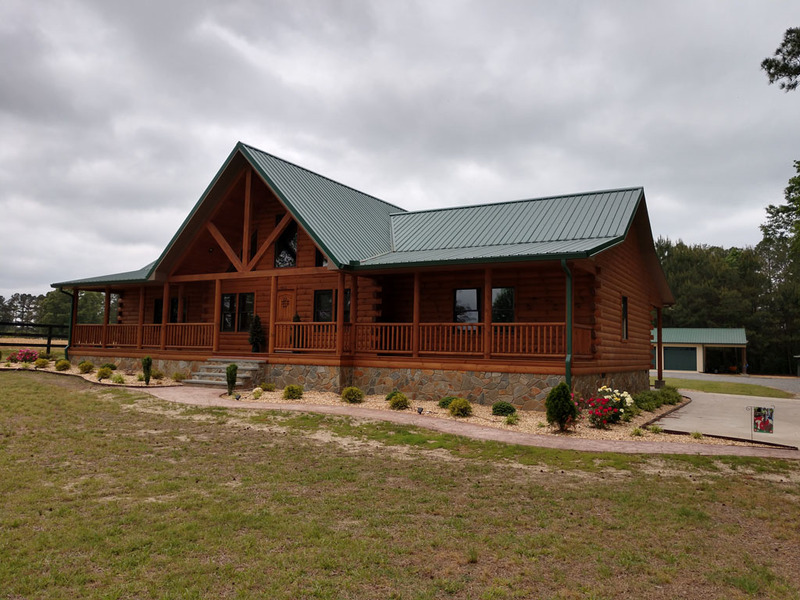 Recently completed in Kenly, NC and also used as a model home. 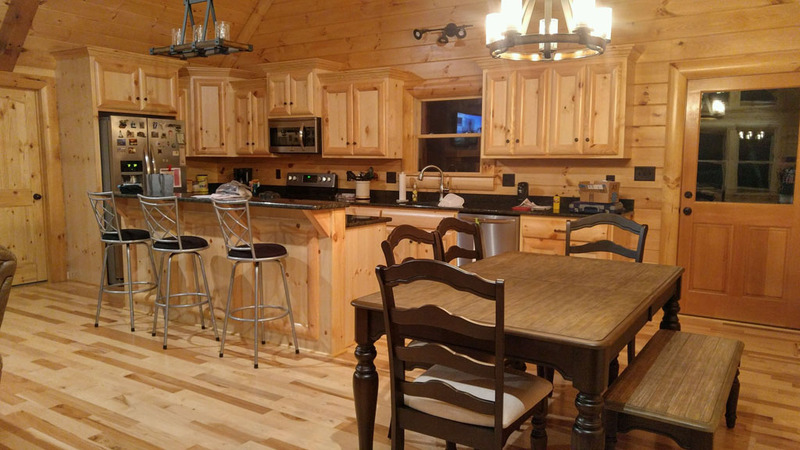 This is a 3 bedroom, 2 ½ bath single story with a cathedral ceiling over the great room and kitchen/dining area. 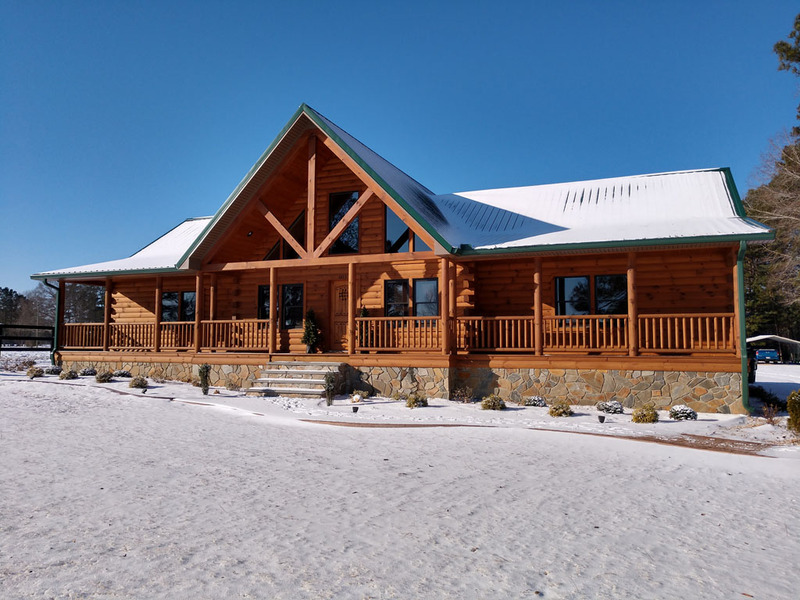 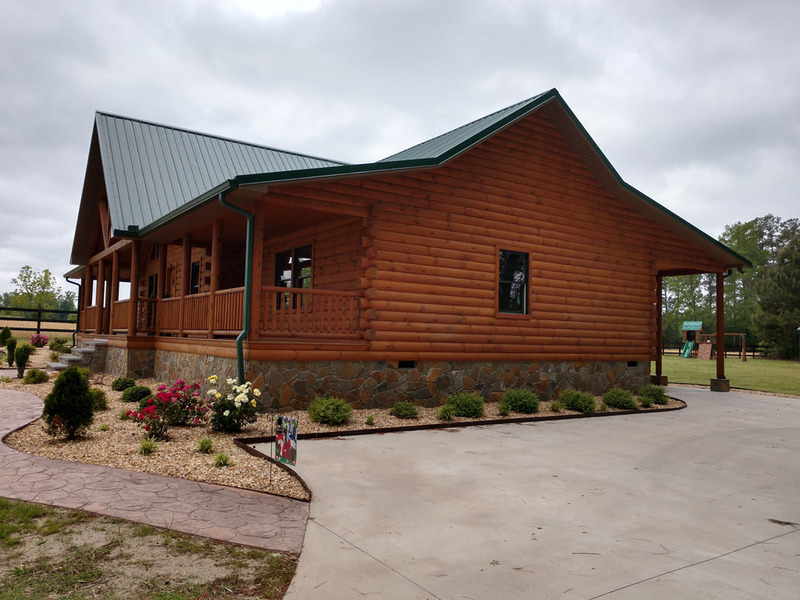 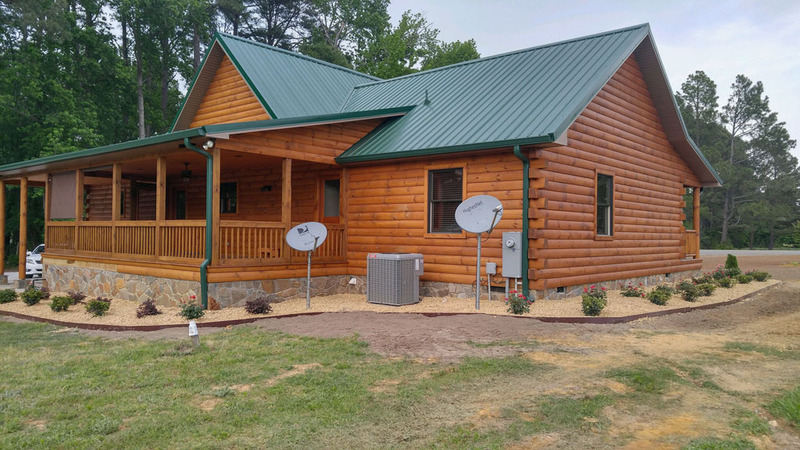 Home includes accents such as log railing, stone veneer foundation, hickory hardwood floors, stone veneer fireplace, cultured marble shower, granite countertops. 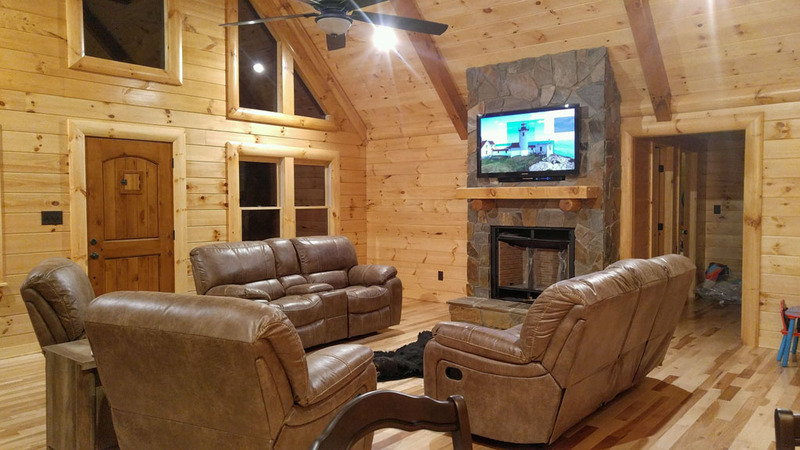 Also built with our 6×8 white pine, engineered log with no settling or cracking!